Americans shell out an average of $300 for each pothole-related vehicle repair. Time to fix the infrastructure! 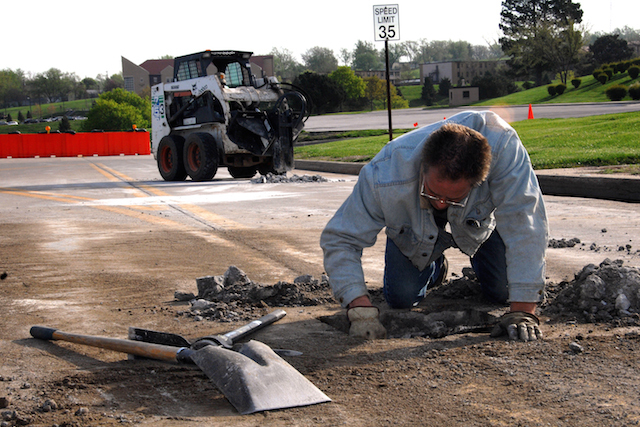 A federal maintenance and equipment staff member makes pothole repairs. America’s infrastructure of roads, bridges, and highways is in serious need of a major investment. Roads are in such disrepair in some areas that consumers are paying for it in personal repairs to their own vehicles, averaging approximately $300 to fix pothole-related vehicle damage according a new study conducted by AAA. The motorist organization found that consumers made $15 billion in pothole-related vehicle repairs over the past five years, or about $3 billion per annum. Potholes routinely appear throughout the winter as roads freeze, thaw, and refreeze. The Michigan Department of Transportation adequately outlines the pothole development process in its four-step “Birth of a Pothole” graphic. It all begins when rain and snow seeps into the soil beneath the road surface. Then, when the ground freezes, it pushes the pavement up. Next, as temperatures climb, the ground returns to its normal level, but the pavement typically remains raised. Finally, a pothole is formed once a vehicle travels across the resultant cavity, damaging the road. It is that damage that causes potholes and puts all drivers at risk. AAA cautions drivers be on the look out for potholes while at the same time urging local and state governments to prioritize road maintenance. The AAA survey revealed that lower- and middle-income drivers have the most concern about potholes. That’s expected given that such consumers will also experience a deeper financial impact. For people who live paycheck to paycheck and depend on their vehicles for their livelihood, pothole-incurred damage can prove devastating. Because of the elevated risk of encountering potholes, AAA offers suggestions for damage avoidance that go beyond slowing down and skirting road damage. For one, drivers should ensure that their tires are properly inflated. Having sufficient tread depth remaining is important too, as it provides additional cushioning between the vehicle and the pothole. When encountering a pothole, drivers cannot always safely avoid hitting one, but they can slow down, release the brakes and steer straight when driving over a pothole. Remaining on the alert for road damage and allowing sufficient room between vehicles can also help drivers avoid potholes explains AAA. Annually, AAA claims its members make more than 4 million calls to for flat tire assistance, usually due to pothole damage. The motorist organization also found that the typical spare tire has been replaced by a tire inflator kit, but those kits are not sufficient for making repairs for destroyed tires. Instead, motorists should opt for a full-size spare and keep it properly inflated. Adding that tire to the vehicle’s normal tire rotation procedure is a wise decision too. 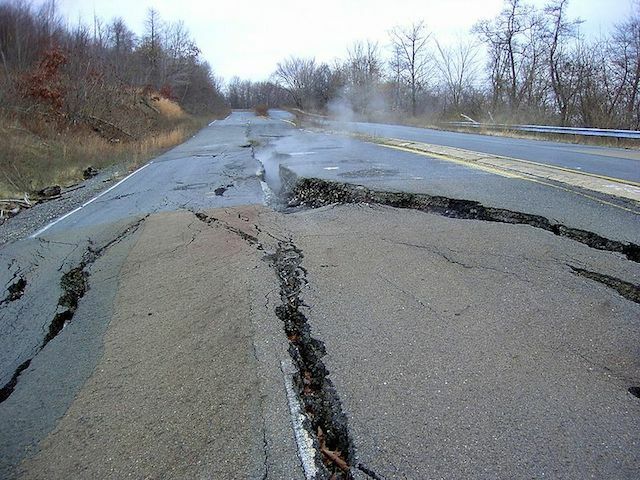 AAA believes that road conditions will only worsen until legislators make road repairs a national priority. 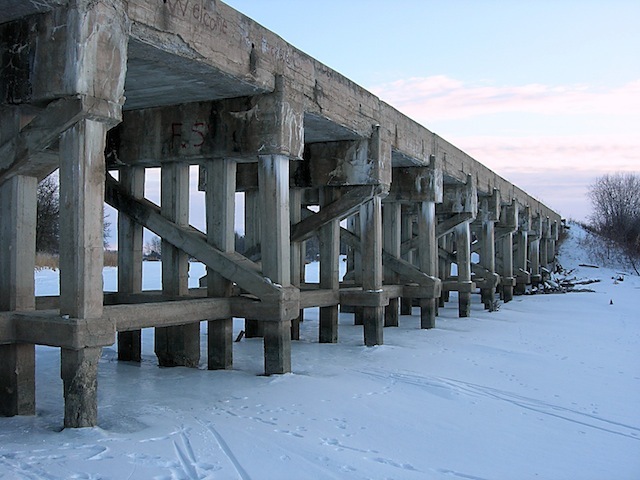 Motorists rely heavily on a crumbling infrastructure, what includes sketchy bridges, inadequate tunnels, and porous roadways. 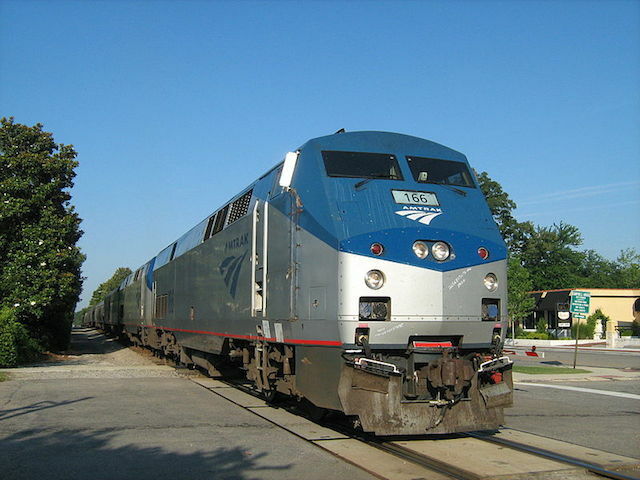 In 2015, Congress increased transportation funding to meet those repairs, but AAA says that as much as $170 billion in additional funding is needed annually to adequately rectify the problem.